Scientists studying eating habits have found that on average, the elderly suffer from malnutrition more than other age groups. A combination of loss of appetite, lack of dietary variety, and poorer absorption capacities means seniors require additional micronutrient intake to achieve full nutritional well-being. Whenever possible, seniors are encouraged to improve their nutritional intake by increasing the nutrient density of their meals and eating a healthy, balanced diet. For example, selenium, a core micronutrient found in tuna and seafood, may help boost cytokine production, while studies show that the zinc present in shellfish and beef aids T helper cell proliferation. Eating a healthy, well-balanced diet is the most important way to get nutrients, but nutritional supplements for the elderly are great all-around options, providing regular doses of a range of much-needed minerals and nutrients that can be difficult to assemble on one plate. Science has known for some time now that there are good and bad kinds of bacteria, and every healthy body needs its fair share of the former. The good bacteria lodged in our gut may also play a key role in T helper cell development, according to recent studies. Probiotics play on this recent discovery, supplementing our body with healthy, gut-loving bacteria that bolster our immune defenses and replenish bacteria levels. Probiotics loaded with immune-bolstering bacteria such as Lactobacillus and Bifidobacterium may be found in a number of foods, including dairy products, drinks, energy bars, cereals and other products. 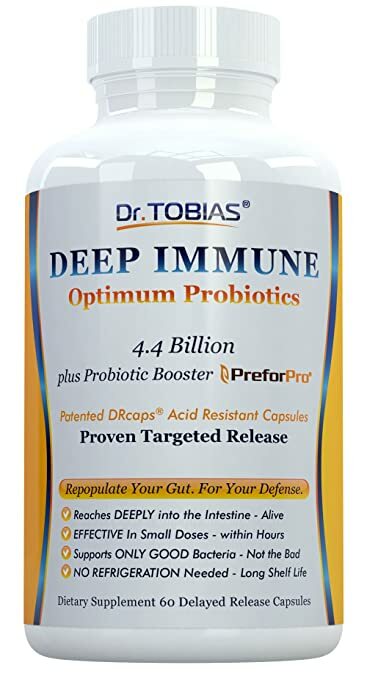 Probiotic supplements are thought to help prevent allergies and colds, and alleviate chronic conditions such as irritable bowel syndrome and inflammatory bowel disease. As we age, our bodies become less responsive to physical activity and produce less muscle mass after exertion. In addition, 25% of seniors over the age of 50 develop sarcopenia or muscle loss, a common condition that makes our bodies shed muscle over time. Muscle mass loss can pose a number of serious issues for seniors, as everyday tasks requiring strength and balance become increasingly difficult. Sarcopenia-related issues are some of the biggest problems that seniors face as they age, with frailty and immobility being among the principal symptoms. A study presented at the British Science Festival found that fish rich in omega-3 oils, such as mackerel and sardines, serve as great nutritional supplements for the elderly on account of their strong muscle-building properties and coronary benefits. These fish oils, which are rich in omega-3 acids EPA and DHA, are known to significantly strengthen body mass development and improve skin luminescence. For best results, make sure your fish oil supplement contains high levels of EPA and DHA, the core fatty acids that are linked to muscle synthesis. Guaranteed The Highest Quality and Purity Of Any Fish Oil Available Anywhere Is all Omega 3 Fish Oil the Same? Not all fish oil is created equally. The source, the purity, and the density of DHA make major differences in the quality of the fish oil that you put into your body. BodyVega Omega 3 Fish Oil is the highest quality fish oil that you will find anywhere. 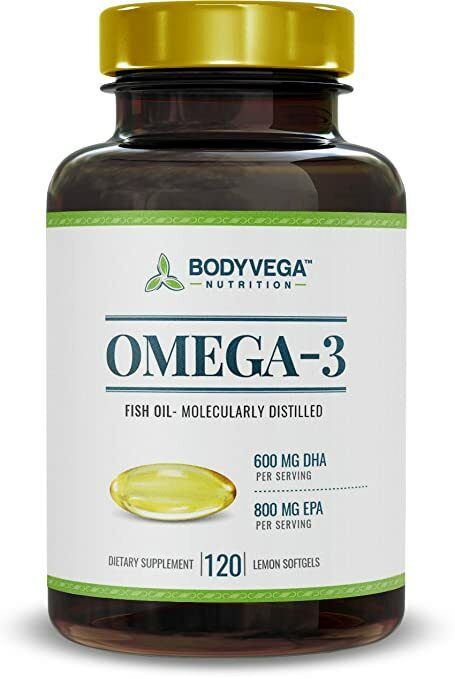 BodyVega Omega 3 Fish Oil has Amazon’s highest concentration of DHA and EPA, so it supports many of the body’s processes for overall health and thriving well-being, including: Brain function, so you’ll be more alert, focused, and happier Healthy eyesight, including reducing tired, dry eyes Reducing pain and inflammation. Carefully crafted from deep-sea, cold water fish and molecularly distilled for purity from all toxins, BodyVega is designed to have maximum potency without the nasty fish taste or burps. 60-Day Money Back Guarantee If you are anything but thrilled with your order, simply return the empty bottles for a 100% no hassle refund. A range of herbal supplements and remedies have been used throughout the centuries to combat the health problems associated with aging with mixed results. In recent times, herbal supplements have become increasingly prevalent on the market, with more and more seniors electing them as their choice alternative to standard medications. Herbal supplements are perceived as both inexpensive and natural, but may also produce unknown side effects. Remember, these supplements should be used with caution and only taken if you are positive they do not interfere with any other treatment you may be receiving. Saw palmetto nutritional supplements for seniors have been used to reduce the effects of enlarged prostates and certain types of prostate infections. Saw palmetto is also reported to reduce prostate swelling and balding, and to aid in bladder control. Black cohosh, a supplement derived from the Native American cohosh plant, is widely used to treat menopause and various other ailments. Black Cohosh has emerged as a natural alternative to hormone therapy, with its combination of headache and hot flash-relieving properties making it ideal for senior women. Black Cohosh is also known to reduce mood swings, sleeping disorders and heart palpitations, among other things. Glucosamine is a naturally-occurring chemical found in the body. Now marketed as a dietary supplement, glucosamine plays a key role in keeping our joints healthy. Bone deterioration and joint pains are part and parcel of the aging process, and glucosamine provides an effective barrier against arthritic pain. 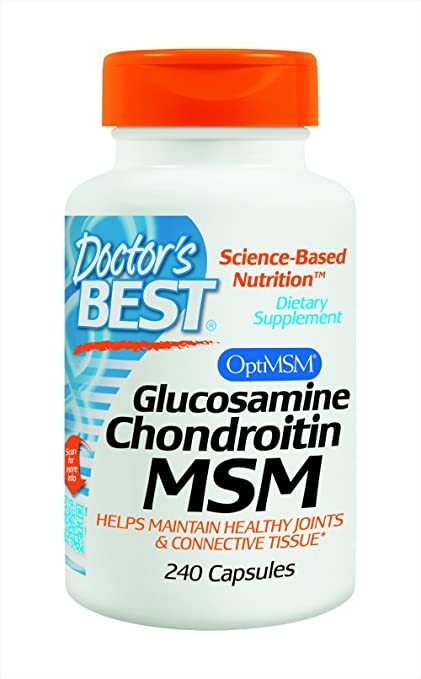 In addition, glucosamine has also proved to be capable of reducing the effects of osteoarthritis, rheumatoid arthritis, and temporomandibular joint dysfunctions, making it one of the best nutritional supplements for the elderly. Melatonin – Reduced sleep cycles affect our cognitive performance and disrupt our normal metabolic processes. In addition, seniors with irregular sleep patterns will likely have higher levels of the protein-depleting hormone cortisol in their system. Hence, getting at least seven and a half hours of sleep per day is essential to maintaining senior health. 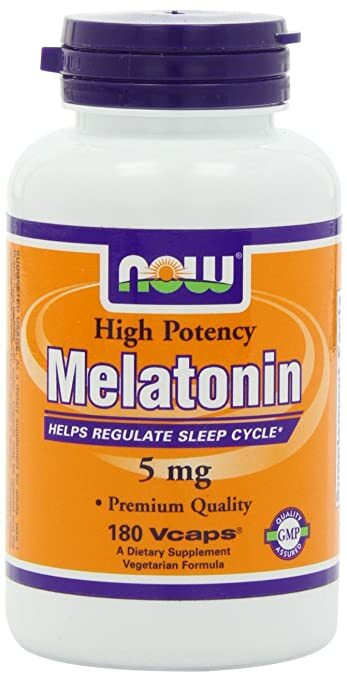 Melatonin is a safe, naturally-occurring chemical used to help regulate sleep cycles. Melatonin levels rise naturally in accordance with the daylight cycle and fall during the morning, but the elderly may produce very little or no melatonin at all. This supplement is used to treat insomnia and sleep disorders, and may indirectly boost senior immunity and general well-being. 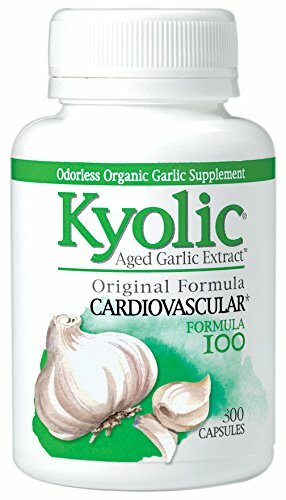 The benefits of garlic are well documented and have long been accepted in the medical world. Garlic possesses infection-fighting properties that make it a great organic medicine against fungi, bacteria, and viruses. Garlic and onion consumption in Southern Europe is also thought to be linked to a lower prevalence of certain cancers in the Mediterranean region. Garlic also provides a range of coronary benefits, including reducing high blood pressure and risks of atherosclerosis. Garlic is also thought to have been originally used as a prevention method against E.coli and other bacteria associated with food poisoning. 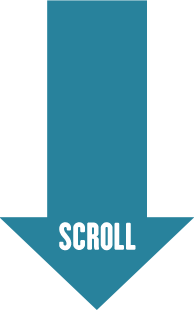 The active ingredient allicin gives garlic both its strong medicinal properties and its potent odor. Micronutrient intake is one of the most essential factors of good nutrition, yet often one of the hardest to manage. Luckily, there are a number of safe and effective multivitamin supplements on the market that are specially designed for mature adults. As we grow older, our heart, bones and muscle tissues require additional levels of micronutrients such as vitamin C and calcium in order to remain healthy. Multivitamin formulas fill in gaps in our diets, ensuring that seniors fulfill their daily recommended nutritional values of vitamins and minerals. Many formulations also contain additional nutritional components, making them an easy way to ensure full compliment of health factors. Experts agree that vitamin A plays an essential role in maintaining cell surfaces associated with T helper cells and other immune system molecules. While too much vitamin A may prove harmful to the bones, at the right level, retinoid-rich nutritional supplements provide added defense against prostate cancer and improve eye vision, skin appearance, and bone growth. Vitamin B6 is one of the most important nutritional supplements for the elderly, as its prime function includes strengthening appetite and inducing sleep. Vitamin B also plays an important role in immune system health and may have an impact on our cognitive and psychological performance. 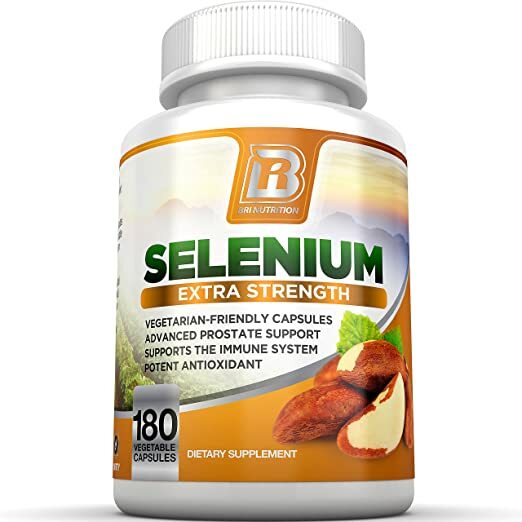 Vitamin B12 is one of the core features of any multivitamin formula. This vitamin is important for maintaining healthy nerve function, amino acid processing, and red blood cell production. Vitamin B12 is notoriously hard for seniors to absorb, so the elderly are encouraged to eat fish, poultry and meat to supplement their micronutrient intake. A lack of vitamin B12 may lead to dementia or memory loss. The effectiveness of vitamin C as a prevention against colds is a hotly debated subject, but most scientists agree that this micronutrient helps produce collagen and maintain blood vessel walls. Vitamin c has also been said to reduce the probability of certain cancers such as breast and stomach cancer. This is one of the most important nutritional supplements for the elderly on account of its function as a bone strengthener and a blood pressure regulator. Calcium also has an effect on hormone secretion and enzyme activation. A high-calcium diet may help prevent fractures of the spine, wrist or hip, all of which are common injuries among the elderly. For years now, doctors have been telling patients to try to spend time out in the sun in order to boost vitamin D and calcium absorption. Vitamin D has been shown to lower the risk of lung infection and produce bone-strengthening benefits. Iron helps hemoglobin transport oxygen in red blood cells, making it an essential ingredient in any multivitamin formula. This micronutrient is also needed to produce certain chemical reactions associated with amino acid, collagen and neurotransmitter production. Adequate iron levels may also help keep senior anemia at bay, making it one the best nutritional supplements for the elderly. Good levels of B vitamins. 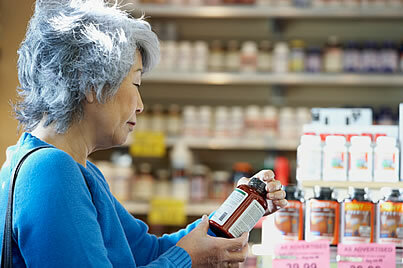 People older than 50 need more B12 in a multivitamin, and Centrum Silver Adults 50+ contains 25 mcg. It lacks iron, but that’s not an issue because experts say iron isn’t needed in supplement form for this age group. It also has less vitamin A than most multivitamins because it’s easy to ingest too much, which can pose serious health risks. However, this Centrum formula’s 220 mg of calcium falls short of current recommendations of 1,200 mg per day for women over 50. Post-menopausal women in particular may be at greater risk of osteoporosis, and should talk to their doctors about appropriate calcium supplementation. Suggested use: adults -take one tablet daily with food. Not formulated for use in children. Bottle sealed with printed foil under cap. Do not use if foil if is torn. 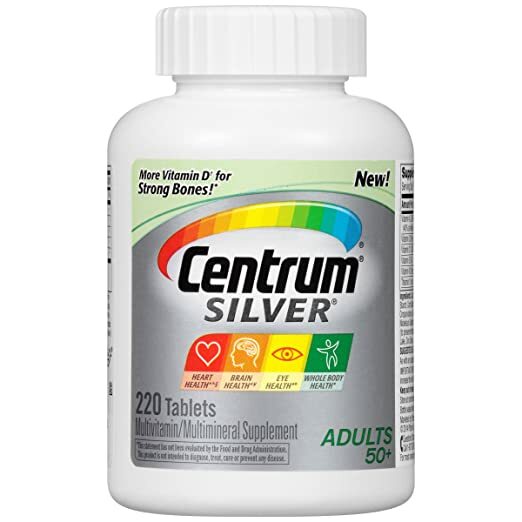 Users say Centrum Silver Adults 50+ is easy to swallow and causes no noticeable side effects like stomach upset. It contains less than the recommended amounts of calcium and vitamin D, so women 50 years and older should ask their doctors about their nutrient needs. Centrum Silver has 30 mcg of vitamin K, which can interfere with some blood-thinning medications, so talk to your physician before taking a new multivitamin.